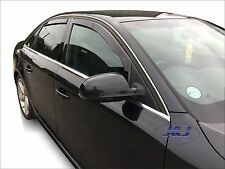 DAU10233 AUDI A4 B8 SALOON 2008-15 wind deflectors 4pc set Internal TINTED HEKO. HEKO wind deflectors are designed to improve driving comfort in any weather. They are aerodynamically designed to reduce wind noise while channeling airflow to keep interior free of smoke, stale air and window fogging even in the worse conditions. 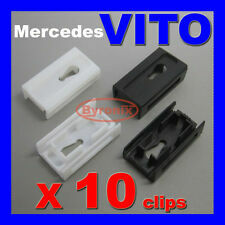 To fit W 638 Vito models 1996-2003. As used on the A pillar trims on either side of the front windscreen. HEKO wind deflectors are designed to improve driving comfort in any weather. They are aerodynamically designed to reduce wind noise while channeling airflow to keep interior free of smoke. VOLKSWAGEN PASSAT B8. 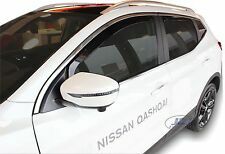 DNI24286 Nissan QASHQAI II 2014 -2018 wind deflectors visors 4pc set TINTED HEKO. HEKO wind deflectors are designed to improve driving comfort in any weather. They are aerodynamically designed to reduce wind noise while channeling airflow to keep interior free of smoke, stale air and window fogging even in the worse conditions. Our Part Number : 6N3 837 462. VW POLO 6N2. WINDOW REGULATOR. FRONT SIDE / RIGHT. · We are based in United Kingdom. We can solve your problems easily and quick. And other videos on youtube. Rest of world. HEKO wind deflectors are designed to improve driving comfort in any weather. They are aerodynamically designed to reduce wind noise while channeling airflow to keep interior free of smoke. Notes SALOON. HEKO wind deflectors are designed to improve driving comfort in any weather. They are aerodynamically designed to reduce wind noise while channeling airflow to keep interior free of smoke. set of 4 front deflectors for. 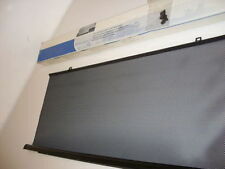 DFI15144 FIAT PUNTO GRANDE EVO 3 door 2006-up wind deflectors 2pc TINTED HEKO. HEKO wind deflectors are designed to improve driving comfort in any weather. They are aerodynamically designed to reduce wind noise while channeling airflow to keep interior free of smoke, stale air and window fogging even in the worse conditions. DMA23145 4. HEKO wind deflectors are designed to improve driving comfort in any weather. They are aerodynamically designed to reduce wind noise while channeling airflow to keep interior free of smoke, stale air and window fogging even in the worse conditions. Right opening window (privacy) for VW T5. Privacy Windows: Our VW T5 windows have a Dark Grey tint (within the glass itself not a film) giving 20% visible light transmission for a good degree of privacy and protection from sunlight. Privacy Windows: Our VW T5 windows have a Dark Grey tint (within the glass itself not a film) giving 20% visible light transmission for a good degree of privacy and protection from sunlight. VW Transporter T6,VW Transporter T5. 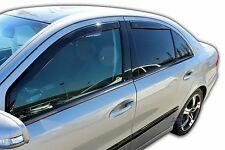 HEKO wind deflectors are designed to improve driving comfort in any weather. They are aerodynamically designed to reduce wind noise while channeling airflow to keep interior free of smoke. FORD FIESTA. 5 door DCI12219 4 - front & rear. 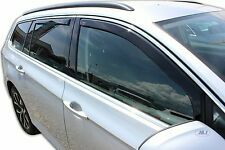 HEKO wind deflectors are designed to improve driving comfort in any weather. They are aerodynamically designed to reduce wind noise while channeling airflow to keep interior free of smoke, stale air and window fogging even in the worse conditions. 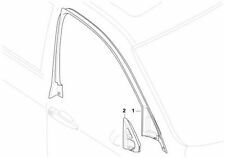 DTO29324 Toyota Corolla E11 3 Dr 97'-01' wind deflectors 2pc TINTED HEKO. HEKO wind deflectors are designed to improve driving comfort in any weather. They are aerodynamically designed to reduce wind noise while channeling airflow to keep interior free of smoke, stale air and window fogging even in the worse conditions. HEKO wind deflectors are designed to improve driving comfort in any weather. They are aerodynamically designed to reduce wind noise while channeling airflow to keep interior free of smoke. 4 - ( 2 front wind deflectors & 2 rear wind deflectors). SSANGYONG Kyron 2006 - up 5 dr DSS28905 4. HEKO wind deflectors are designed to improve driving comfort in any weather. They are aerodynamically designed to reduce wind noise while channeling airflow to keep interior free of smoke, stale air and window fogging even in the worse conditions. 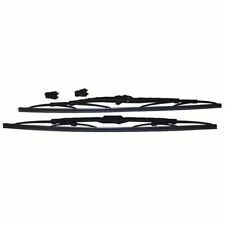 Jeep Grand Cherokee 1999 - 2005 5 door DJE19104 4. HEKO wind deflectors are designed to improve driving comfort in any weather. They are aerodynamically designed to reduce wind noise while channeling airflow to keep interior free of smoke, stale air and window fogging even in the worse conditions. LAND ROVER FREELANDER. LAND ROVER. WINDOW REGULATORREPAIR KIT. FRONT / RIGHT. Set includes ;. Right Side. Our Part Number : T-UK2007-S1805. THIS PART SUITABLE FOR . HEKO wind deflectors are designed to improve driving comfort in any weather. They are aerodynamically designed to reduce wind noise while channeling airflow to keep interior free of smoke. FORD MONDEO. XJ SERIES X300. XJ SERIES FROM (V)720125 TO (V)812255 (X300). WINDSCREEN GLAZING RUBBER. E46 3 series. 1998 - 2001. FRONT RIGHT. Right Side. THIS PART SUITABLE FOR . Defender 110. Defender 90. Defender 90/110. Alpine window weather strip & Seal filler. Defender 110 and Series 3. Powder Coated Black. Seat Belts And Racing Harness. Fuel Cap Covers. Full safari window kit for all Splitscreen models including later Brazilian splitscreen. VW Splitscreen Safari Windows. The windscreen wiper disengager and one eyed duck to sit the wipers in when the windows are open are not included. HEKO wind deflectors are designed to improve driving comfort in any weather. They are aerodynamically designed to reduce wind noise while channeling airflow to keep interior free of smoke, stale air and window fogging even in the worse conditions. SIDE SLIDING DOOR BODY RUBBER SEAL - LEFT OR RIGHT REAR DOOR BODY RUBBER SEAL. These seals fit onto the body edge of the van Fitting - start at the middle at the top and work your way down each side. Jeep Cherokee XJ Rear Window Seal Original Auto Parts. Jeep Cherokee XJ 1984-1996. SEAL FOR REAR WINDOW. Original spare parts. Parti auto d'epoca Si. Product code 55025250. VW POLO Front door glass passenger side. This is the trim that runs up the side of the windscreen on the outside of the vehicle. This is for the MK2 or MK1. Odd marks will be hard to see when fitted. 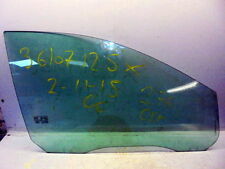 TWO Jaguar XJ Coupe XJ12C & XJ6C VERTICAL Quarter Glass Seals - FREE DELIVERY! 1975-1978 Jaguar XJ12C 5.3C. 1975-1978 Jaguar XJ6C 4.2C. 1975-1978 Daimler Sovereign Coupe. HEKO wind deflectors are designed to improve driving comfort in any weather. They are aerodynamically designed to reduce wind noise while channeling airflow to keep interior free of smoke. MAZDA 6 GJ. 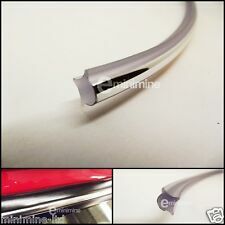 FOR SALE IS NEW GENUINE BMW 3 SERIES REAR WINDOW MOLDING TRIM SEAL TO FIT - BMW 3 SERIESE90 (2005 - 2013). PART NUMBER. 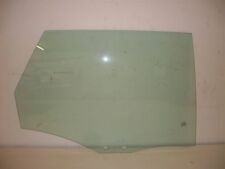 FIXED GLASS REAR FENDER-LEFT 4F9845299HNVB AUDI A6 < span class = notranslate ' > 3.0 176KW 5drs D AUT (2010) PARTS USED. MPN 4F9845299HNVB. Product range: Crystal/Glass side left fixed. Being the parts used may have slight signs of wear and tear. How to change windscreen to bulkhead support brackets on Land Rover Defender - YouTube. Land Rover Defender 90, 110 and County. The older style hinges seem to have lasted badly and have started to "blister" and can let down the appearance of a generally tidy Defender. HEKO wind deflectors are designed to improve driving comfort in any weather. They are aerodynamically designed to reduce wind noise while channeling airflow to keep interior free of smoke. RENAULT SCENIC IV GRAND. 12/1981 3818 160 218 M 116.961 Coupe. 07/1985 3839 150 204 M 116.963 Coupe. 12/1987 4196 160 218 M 116.965 Coupe. 06/1991 4196 150 204 M 116.965 Coupe. 06/1991 4196 165 224 M 116.965 Coupe. 06/1991 4196 170 231 M 116.965 Coupe. Enough to do front OR rear screen (NOT BOTH). If your manual windows are tough to roll up and down your bushings are probably worn. Replacing them is an easy, half-hour install. 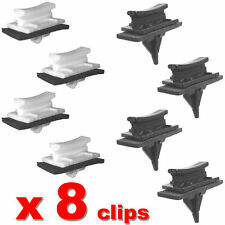 Our kit includes a new Delrin bushing for each door. Fits Mazda MX-5 Mk1, Mk2 & Mk2.5 from 1989-2005. 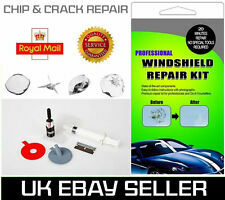 WINDOW REGULATOR REPAIR KIT -ELECTRIC SYSTEM FOR WINDOW. FOR FRONT WINDOWS. Setincludes ;. 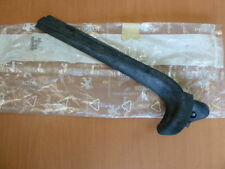 Audi 80 (86-95) WINDSCREEN Moulding BLACK OEM 893 845 121G. This moulding is U shaped and fits onto the edge of the glass. You will be provided with the right information, combining technical advice and. The part is fairly standard and used on many models. To Fit Volkswagen Sharan, Seat Alhambra, Ford Galaxy, Volkswagen Golf Mk3, VW Vento and VW Transporter & Camper. VW Part Number: 1H0837719 / 7H0843213A.